Port Phillip Bay is perhaps one of the most suitable Stand Up Paddle boarding locations in Victoria. It offers protected spots to paddle when its windy from most wind directions, making Stand Up Paddle boarding still one of the most easy, accessible and FUN sports you can get into! This year we are offering a Demo Day combining two of the worlds most popular brands in Stand Up Paddling, Starboard and Fanatic. 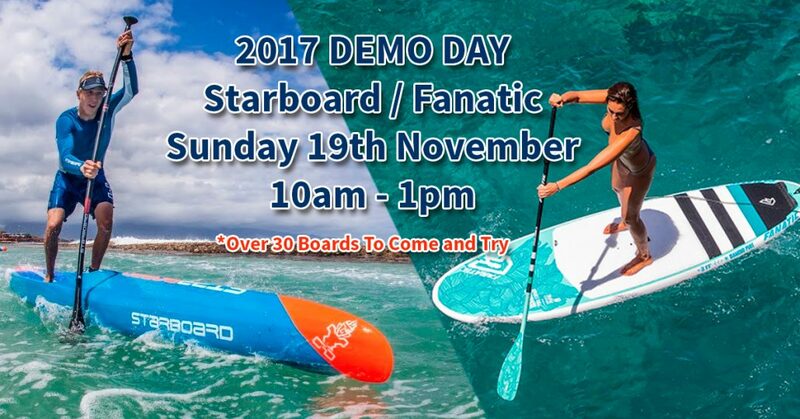 Come and demo the 2018 board and paddle range from Starboard and Fanatic. 330 Beaconsfield Pde St Kilda.